The fact that medical malpractice is the third leading cause of death in the United States—just behind heart disease and cancer—is sobering. Every year, medical malpractice costs taxpayers billions of dollars. More importantly, the toll on human life is much too high. 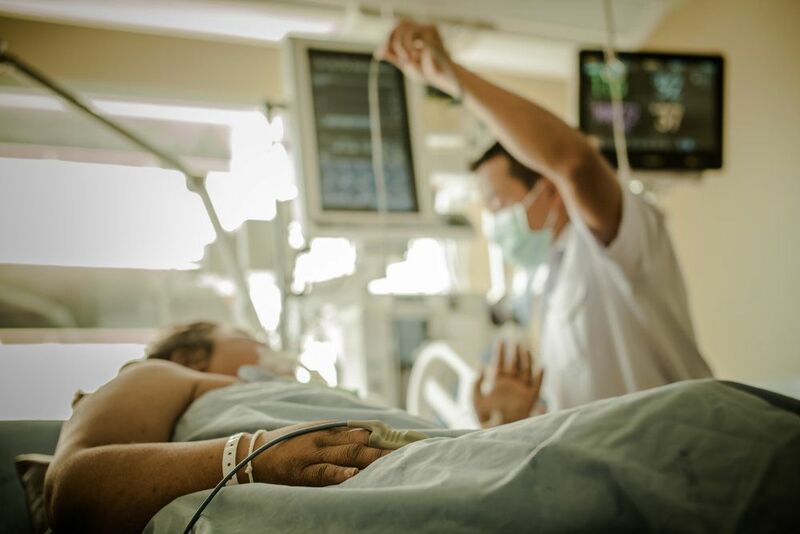 If you or a loved one has been injured by the negligent actions of a medical professional, it is crucial that you speak with a medical malpractice lawyer at Bennett Johnson, LLP in Oakland, CA, as soon as possible. We handle several types of cases, including representing clients involved in Kaiser Permanente arbitration. Medical malpractice is defined as the failure of a healthcare practitioner to maintain the recognized standard of care in treating a patient. The standard of care is how a reasonably able and judicious healthcare practitioner would act under those specific circumstances. If your provider grossly negligent, you could have a medical malpractice case on your hands. However, California medical malpractice law is rather broad in its definition of “treatment” when determining whether a case is grounded in negligence. Medical providers are expected to provide a certain level of care for their patients. How Do You Know if You are a Victim of Medical Malpractice? You may have been a victim of medical malpractice if you suffered injuries due to too much or too little anesthesia, the wrong dosage or wrong medication, or were injured during the childbirth process. Additionally, if a doctor mistook your symptoms for another illness or injury, resulting in you not receiving proper treatment, you may have a claim. If a doctor fails to diagnose an illness or disease altogether, that may qualify as medical malpractice as well. At Bennett Johnson, LLP, we can thoroughly review your case to determine if you were a victim of medical malpractice. In order for your claim to be successful, it must meet several requirements. First, you must prove that you and your healthcare provider had entered into a doctor-patient relationship. This relationship begins when a medical professional agrees to or provides an examination, diagnosis, or treatment. Second, you must prove that the healthcare provider had a legal duty to provide reasonable care. In order to qualify for medical malpractice, you must also prove that the healthcare provider breached that duty of care, acting differently than another reasonable provider would have in that situation. Finally, you must prove that as a result of the error, you suffered significant harm. One of the most difficult items to prove is that the medical professional’s mistake caused the injury you suffered. Our attorneys have extensive experience in medical malpractice and can conduct a full investigation into the circumstances surrounding your injury. We can gather evidence to build your case and establish negligence by the medical professional that treated you. We have also established a network of medical professionals we can call on to provide expert testimony. These individuals can be invaluable in proving that the negligent healthcare provider acted in a way that was inconsistent with what another experienced, reasonable provider would have done. Since each state has a statute of limitations on medical malpractice claims, it is imperative that you contact our medical malpractice lawyers at Bennett Johnson, LLP, as soon as possible. Under California law, a patient can only file a medical malpractice claim within one year of discovering the act that caused the injury, or three years from the date the injury occurred (whichever comes first). Our attorneys can help ensure that your claim is filed in a timely manner and can help you pursue compensation for your injuries. Medical malpractice claims can be very complicated and costly, involving the doctor, their insurance, and possibly the hospital or facility you were treated in. It is essential that you do not try to take these cases on alone. These types of claims typically go to court more often than any other type of personal injury claim. This trend is often because doctors believe settling outside of court is an admission of guilt. A settled medical malpractice claim may tarnish the doctor’s reputation and increase their liability insurance rates. Not only do you need an attorney with extensive experience in medical malpractice, but you also need a skilled and experienced trial lawyer. At Bennett Johnson, LLP, our attorneys have a successful track record with medical malpractice cases. Our experienced trial lawyers will prepare a strong case and battle the doctor and their insurance company in court whenever necessary to get you the compensation you deserve. Our attorneys can thoroughly investigate your claim and provide you with strong legal representation against medical providers, hospitals, and their insurance companies. The damages awarded for medical malpractice are similar to the types of damages awarded in other personal injury cases. Damages for medical expenses may cover both the cost of the original treatment as well as the cost of any necessary additional treatments. This may include corrective surgery, extended hospital stays, rehabilitation, medications, and more. Medical malpractice can leave victims and their loved ones out of work for an extended period of time while they recover. This can result in lost wages, as well as loss of vacation and sick time. Damages can compensate for these losses, and can also compensate victims who are permanently unable to return to work. Victims of medical malpractice are usually entitled to pain and suffering damages as well. These damages serve to compensate victims for their physical pain and the ongoing suffering they must endure. In addition to the compensatory damages, some victims may also seek punitive damages to punish an exceedingly negligent medical provider. If the malpractice resulted in a wrongful death, the loved ones of the deceased can pursue loss of consortium damages. For trustworthy legal counsel you can rely on, contact our law firm online or call (510) 444-5020 today. Our attorneys can thoroughly investigate your claim and provide you with strong legal representation against medical providers, hospitals, and their insurance companies.